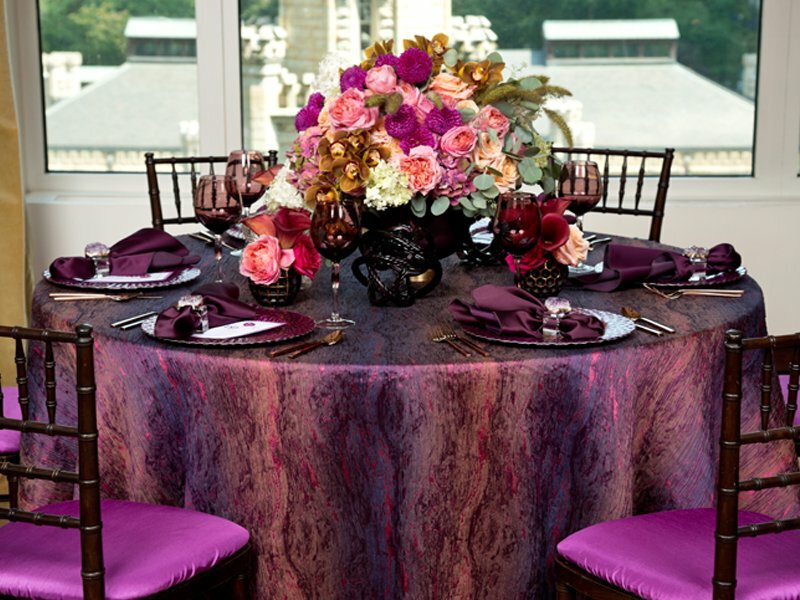 Who would not want silk tablecloths draping their event tables? 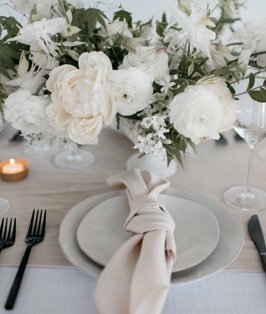 Our Shantung rental Elastic Chair Pad Covers are the way we can all afford this lusciousness. 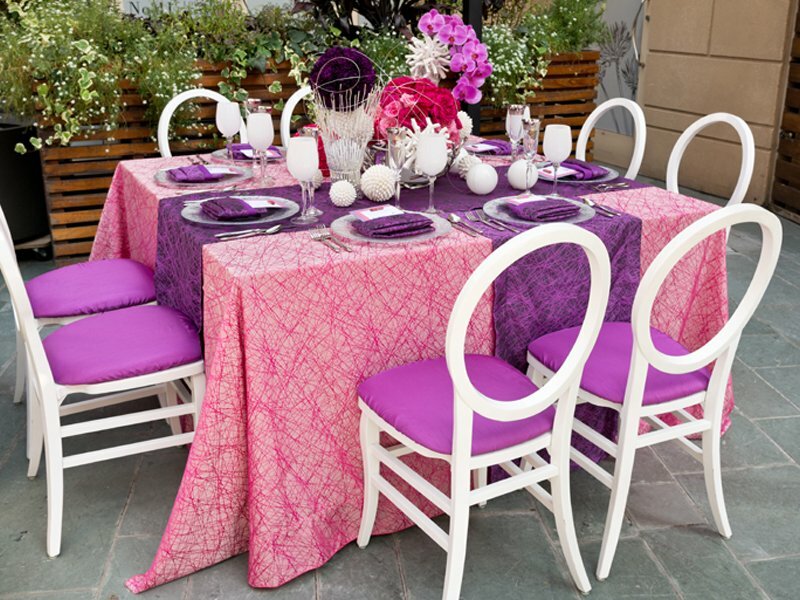 Best representation of one of the richest Orchid flowers, Orchid Shantung is a bright, rich Pinkish-Purple, that amazingly will coordinate with all hues of the color spectrum. 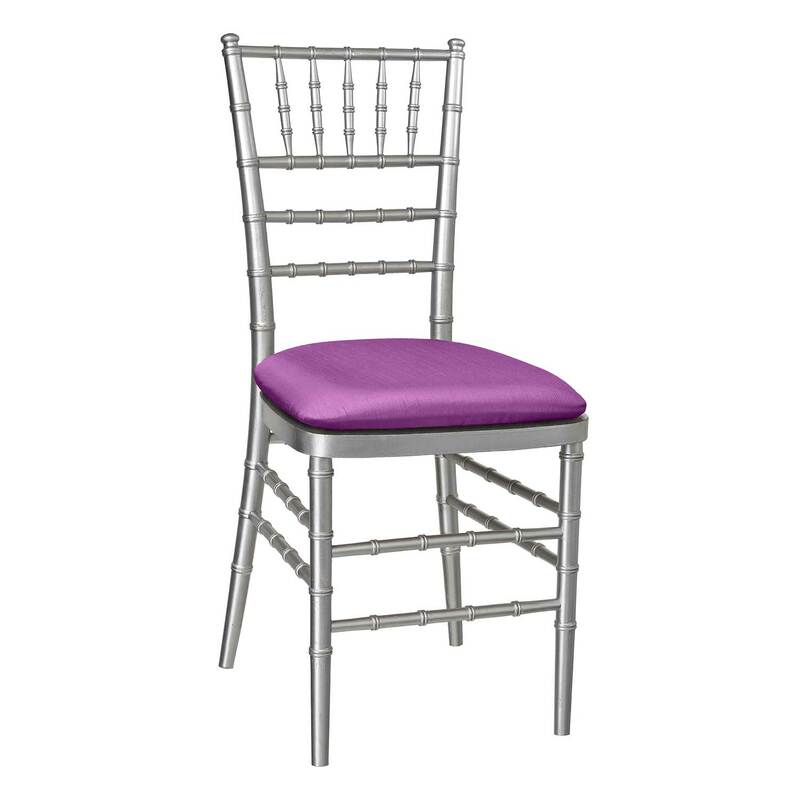 Fabricated to be reversible, your chairs will be dressed even better than your guests in this fashion inspired hue and texture.